Kea is the island closer to Athens than any other island of the Cyclades. Kea is connected to Athens by ferry through the port of Lavrion. The trip lasts only one hour and the ferry schedules are quite frequent, especially during summer. The ferry tickets are reasonably cheap, as the trip is quite short. Apart from Athens, there are ferry connections from Kea to Kythnos, Andros, Ios, Milos and to the renowned Greek island of Mykonos. 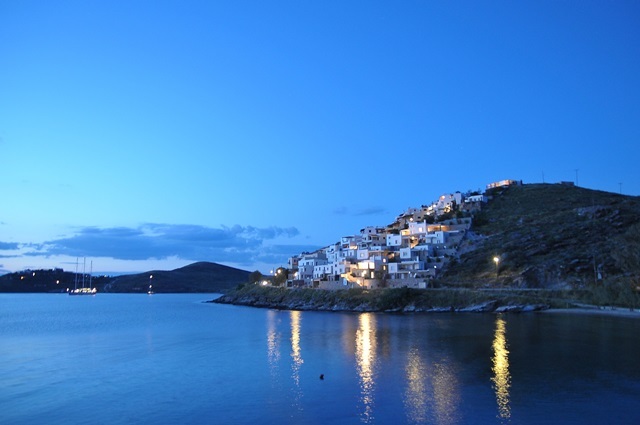 There are also other connections to Paros and Naxos which can be used as corresponding islands in order to continue your island-hopping. The full list of routes can be found in our ferry booking engine. And do not forget, We also show corresponding connections! To sum up, Kea is an excellent destination for short-term vacations and even for day trips. During summer the ferry timetables are quite dense, making Kea a perfect choice for a Sunday excursion; leaving in the morning and returning at night. The Greek island of Kea is known for many things. It has exceptional beaches and one of the best system of walking paths and trails of any Greek island. Kea is a hiker's paradise with numbered routes that take you through a variety of landscapes to remote coves and the ruins of ancient cities. The restaurants on Kea are among the best in Greece and the summer features a number of cultural events, and an outdoor movie theatre with new first-run movies (usually in English) that change every 2 days. Because of its proximity to Athens (just 2 hours by bus and ferry), Kea has always been popular with Athenians who have holiday homes here that they only use on occasional weekends in the summer and for much of August. But come any other time and you won't even see them. If you are looking for an island that is close to Athens but has the feeling of an island much further away, then Kea may be the place for you. I should know. I live here. You can find more details by visiting Matt's webpage for Kea.